YO-KAI WATCH: THE MOVIE, the first English-language film based on the global phenomenon YO-KAI WATCH, will make its U.S. television debut on Saturday, November 12, LEVEL-5 abby Inc. announced today. The film, which recently received a limited theatrical run, features the voice talent of the hit show YO-KAI WATCH, currently airing its second season on Disney XD. YO-KAI WATCH: THE MOVIE debuts at 9:00 AM ET/PT on Saturday, November 12 on Disney XD, and will have encore performances on Sunday, November 13 at 5:00 PM ET/PT and Monday, November 14 at 3:45 PM ET/PT. YO-KAI WATCH: THE MOVIE follows Nate Adams and his Yo-kai friends, Whisper and Jibanyan, as they're transported to the past to help Nate's grandfather, Nathaniel, battle evil Yo-kai and invent the Yo-kai Watch. 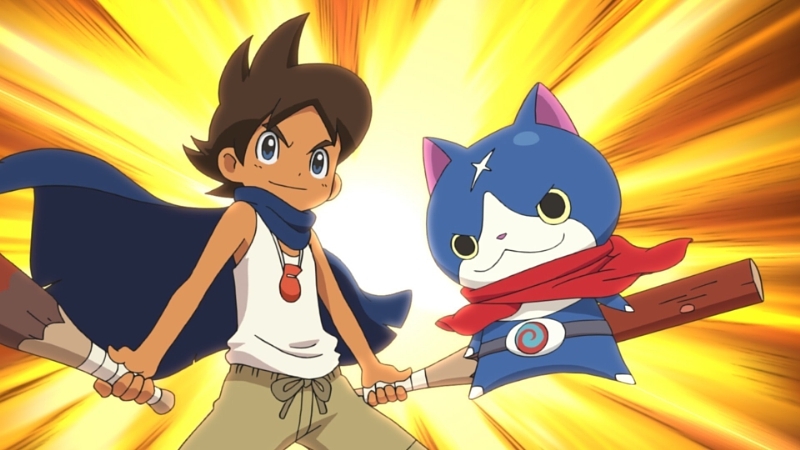 YO-KAI WATCH: THE MOVIE also introduces a new Yo-kai — Hovernyan, a floating blue cat who is Nathaniel's heroic companion. 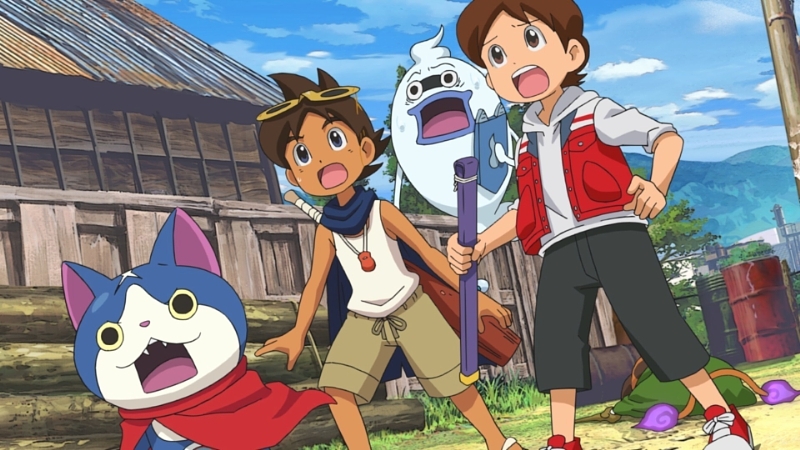 Cinema Blend calls the film "a fun and fast watch that makes for some entertaining excitement," and Anime News Network says YO-KAI WATCH: THE MOVIE is "a funny and heartwarming comedy-adventure." To celebrate the film's TV debut, LEVEL-5 abby Inc. will make the second season of the YO-KAI WATCH animated series available for free on YouTube for a limited time. Starting with the first five episodes on Monday, November 14, episodes will be added throughout the month to the official YO-KAI WATCH YouTube channel, culminating on Wednesday, November 30. Each episode on the YouTube channel will also feature special QR codes that can be scanned into the best-selling new Nintendo 3DS games YO-KAI WATCH 2: Bony Spiritsand YO-KAI WATCH 2: Fleshy Souls, as well as codes for the iOS and Android apps YO-KAI WATCH Land™and YO-KAI WATCH Wibble Wobble™. 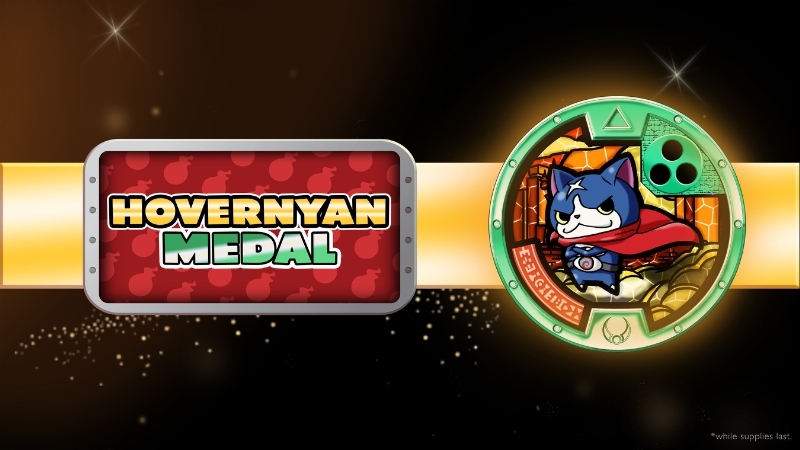 Fans will also be able to collect secret passwords hidden in each episode, which can be entered at the official YO-KAI WATCH website for a chance to enter a sweepstakes to win one of more than a thousand prizes, including exclusive Hovernyan "YO-MOTION" MEDALS. One grand prize winner will receive a prize package including, Nintendo 3DS games, Hasbro toys and a one-of-a-kind prize: a custom voice greeting from their favorite Yo-kai! For more details on the sweepstakes, fans can visit the official YO-KAI WATCH website. "We are thrilled that our amazing partners at Disney XD will be bringing YO-KAI WATCH: THE MOVIE to television for all of our fans to enjoy," Yukari Hayakawa, Chief Operating Officer, LEVEL-5 abby Inc., said. 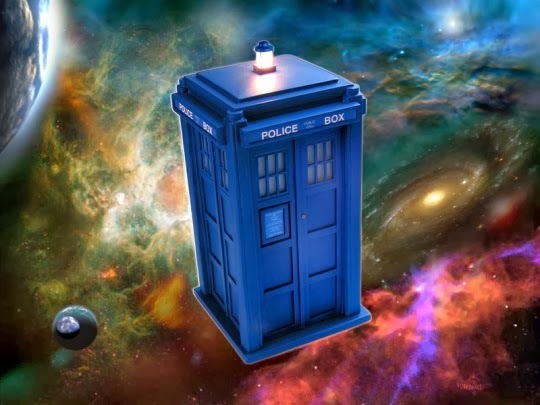 "With the second season of the TV show, the best-selling new Nintendo 3DS games, our popular iOS and Android apps and now YO-KAI WATCH: THE MOVIE, American YO-KAI WATCH fans have an entire world of hilarious, action-packed adventures to explore." New episodes from the second season of YO-KAI WATCH are currently airing on Disney XD, every Saturday at 8:30 AM ET/PT. Immediately before the debut of YO-KAI WATCH: THE MOVIE on Saturday, November 12, the premiere of the new episode "Whisper's Secret Past" explores the secret origins of Nate's beloved Yo-kai butler for the very first time. YO-KAI WATCH™ is a cross-media universe, following the hilarious misadventures of an average human boy and his involvement with the mischievous Yo-kai (invisible beings that are the cause of life's daily annoyances) all around him. Our young hero obtains a special watch, empowering him to discover and summon the mysterious Yo-kai, befriend them and then work together to solve everyday problems… problems that are often caused by other trouble-making Yo-kai! Discover the adventures of Nate and his Yo-kai companions via video game, animated comedy series, comics, toys and video on demand. View full episodes on the official YO-KAI WATCH YouTube channel and visit the official website, as well as follow YO-KAI WATCH on Twitter, Facebook and Instagram.